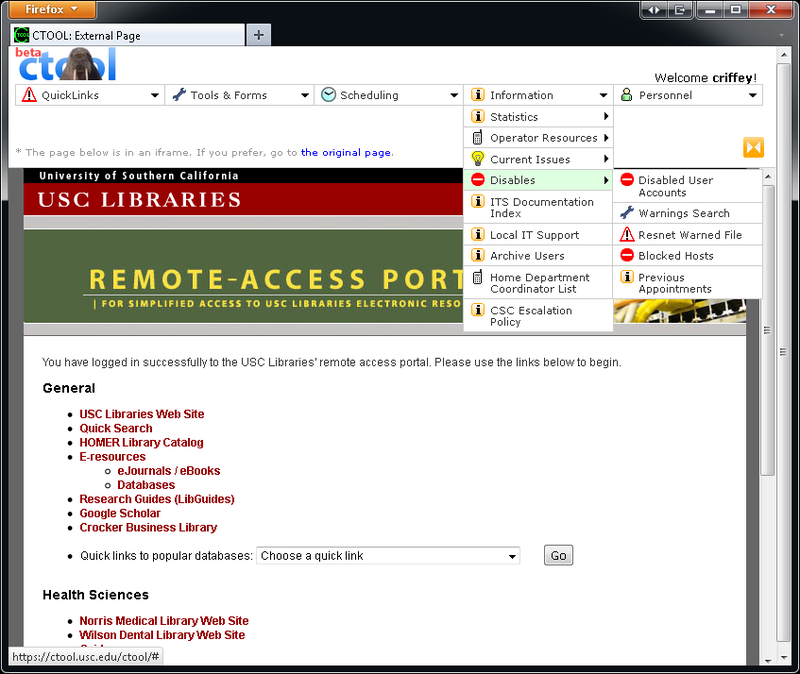 This website was created for the Customer Support Center of the Information Technology Services Division of the University of Southern California. It was designed to be a centralized collection of all the tools needed by the consultants to do their jobs. 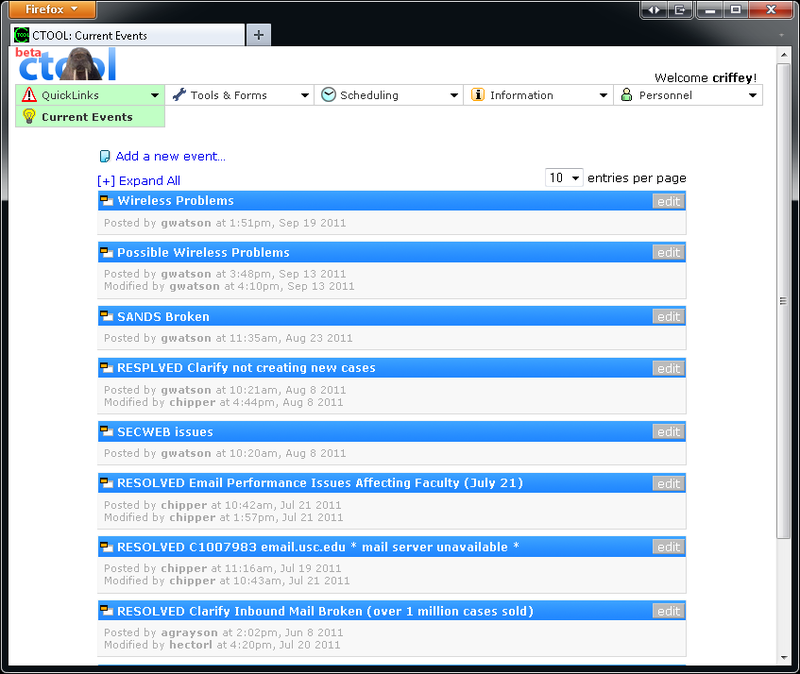 In addition to being a portal for external web services, it featured a shift calendar and personnel database. Many of the consultant tools were unix based and the site had some custom hooks into those services so they functioned in a web-based manner. The site was designed by me and coded by others under my direction. Master menu bar persistent through entire experience, even when viewing off-site external pages. 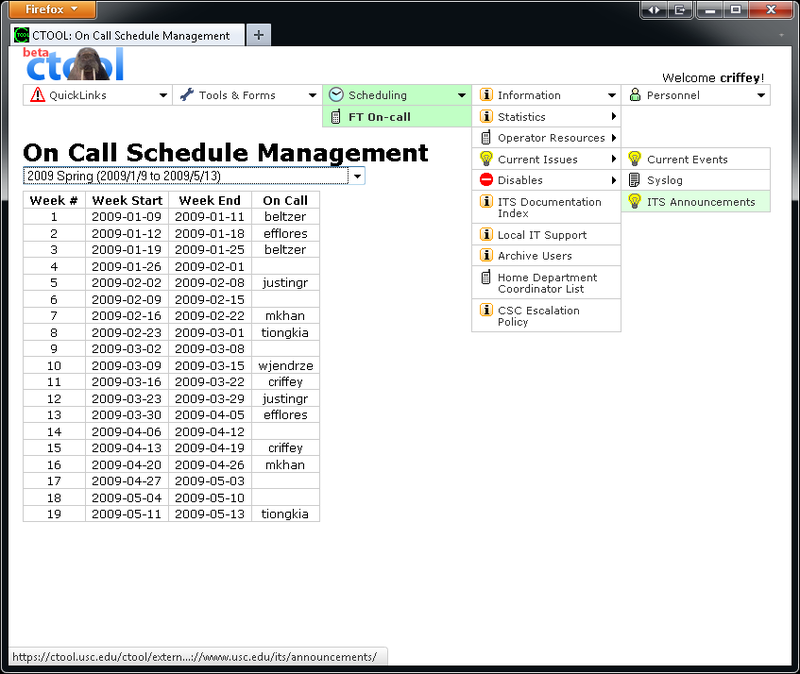 Calendar system featuring different users types and locations. 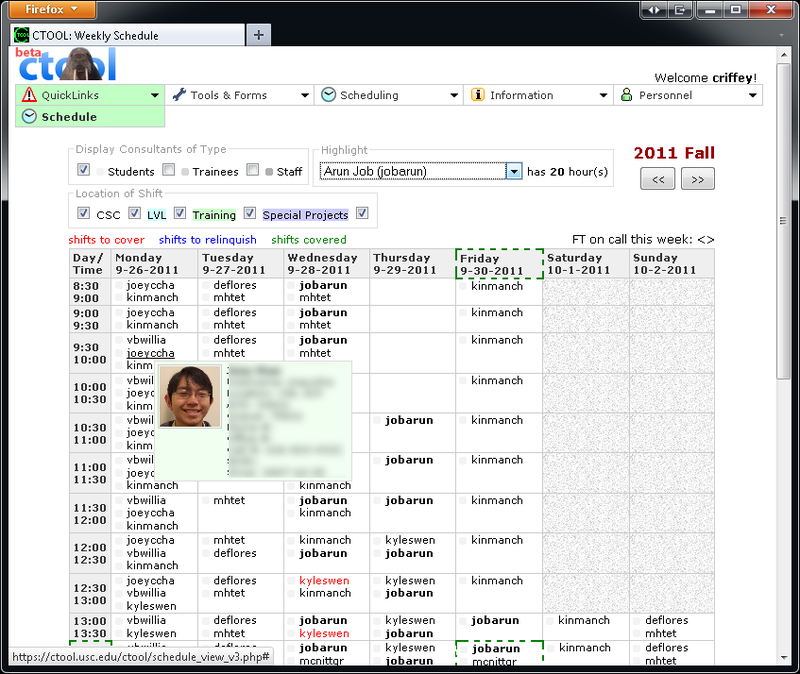 System allowed for users to give up and cover each other's work shifts. All content including menu items and access editable via a web interfacing reducing need for system administration and ensuring functionality in the future. Main page went straight to the current events page where anyone could post and comment about current problems. The navigation bar was always present so users could easily jump between the tools. 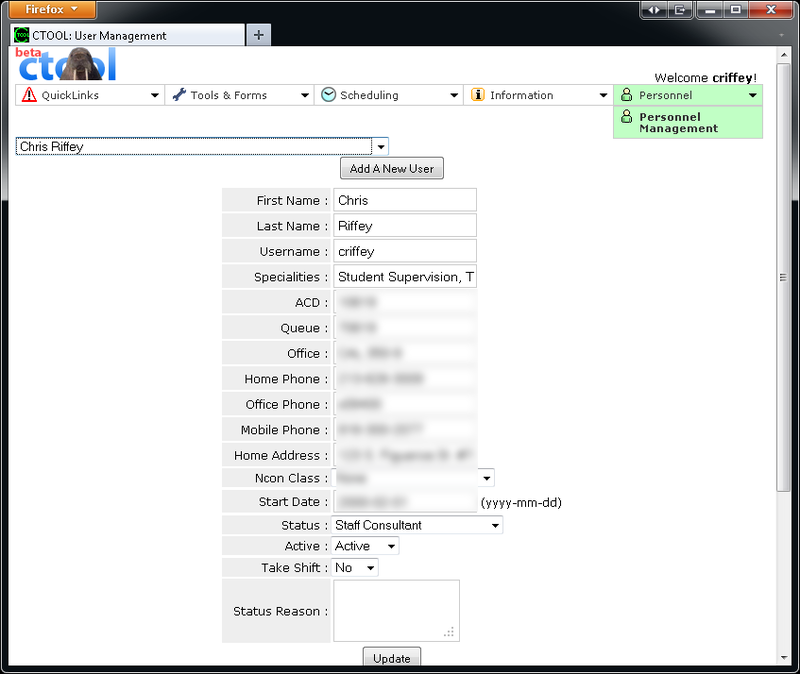 The shift scheduling system allowed for on-the-fly filtering as well and easy way to give up and cover consultant shifts. 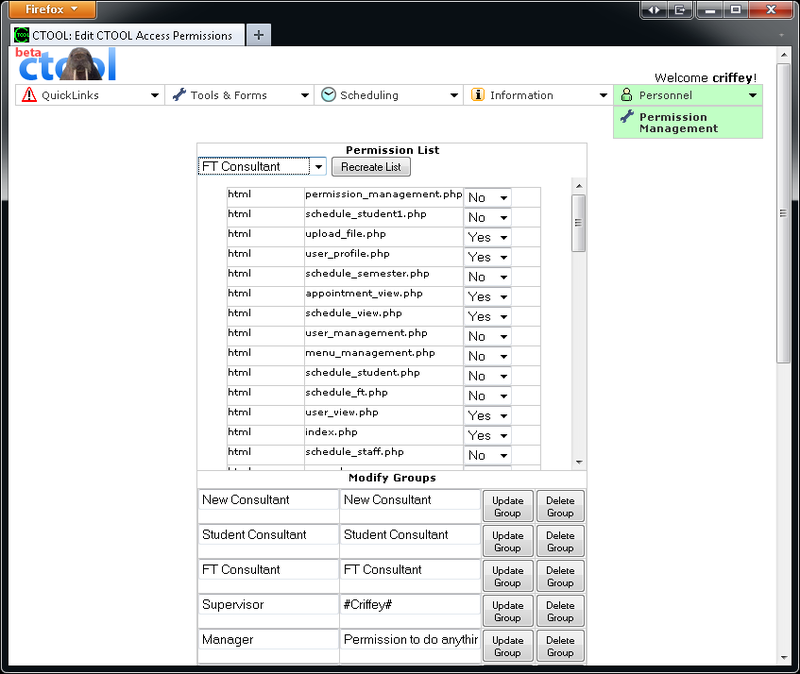 Personnel management, some options were editable by the users, others only by the managers. This part of the system allowed manager to keep track of who had what access to external systems used by the consultants. 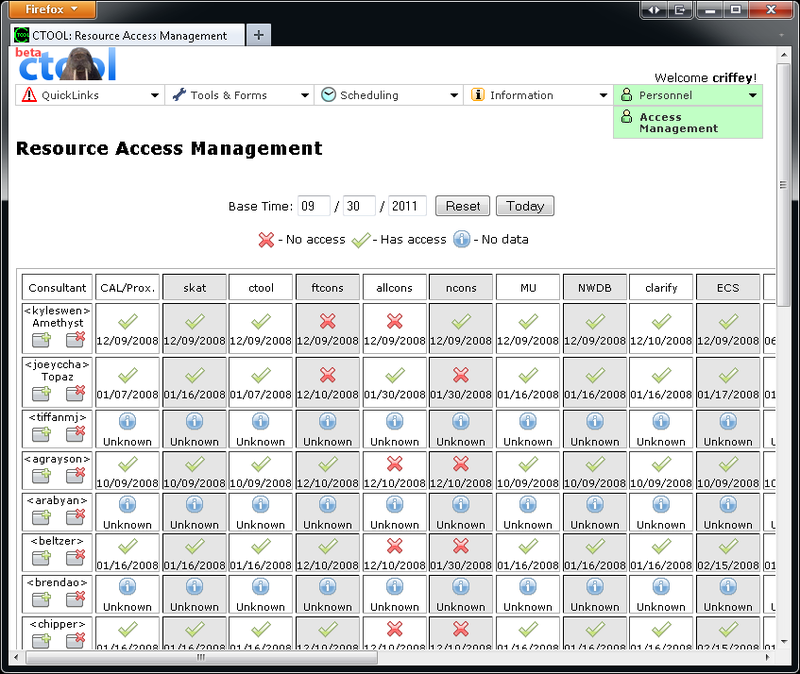 A shot of the permission management which allowed manager to be granular about what users could access either by individual or group. The on-call page along with some more menu information. 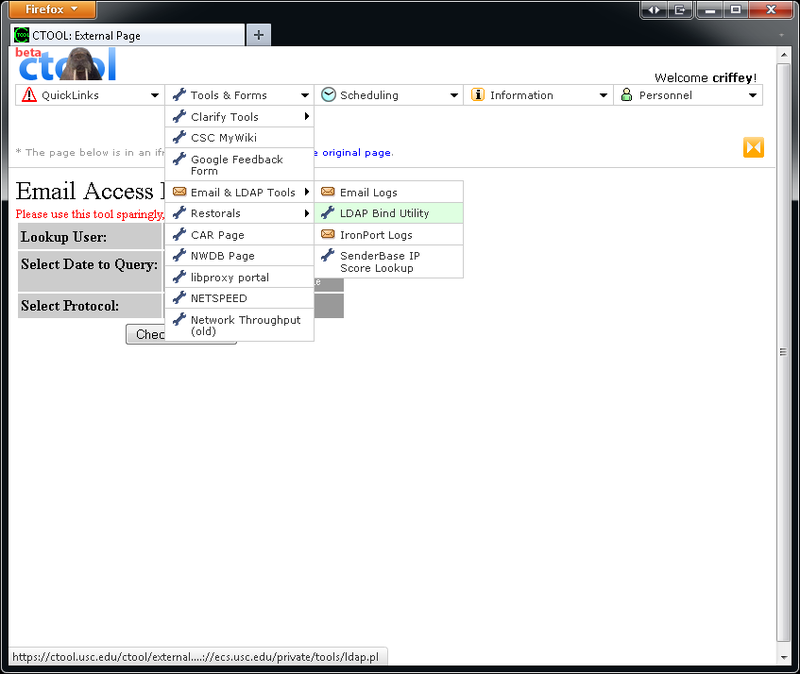 Shot of an external linked page, note that the menu bar persists for easy access to the other tools.